The French embassy in Kenya and its partners, the Institut Français, RFI Savoirs and Arte Radio has developed a pedagogical project with both a linguistic and an audio part. This year, the 2018 contest involved making a 1 and a half minute podcast in French. The contestants had to make an audio recording, discussing the topic: “The Ideas of the Night”. These podcasts will then be published on the Institut Français’ website for a “mapped” listening of the nights of the world. 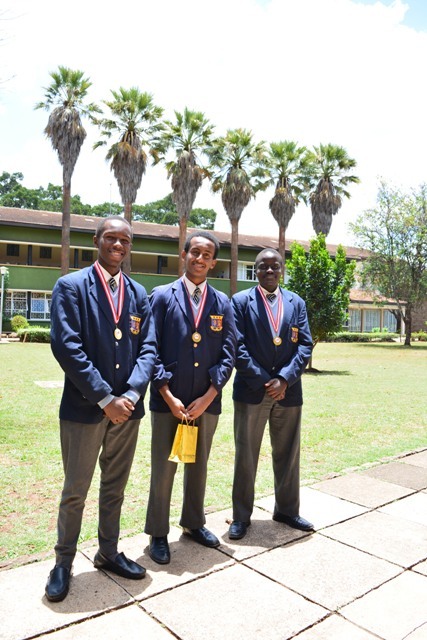 We are happy to announce that for the Kenyan Secondary School’s category; the first prize went to Daniel Abate, one of our Form 4 students. Congratulations Daniel! Bravo et Félicitations ! Daniel will receive his prize on the 25th of March 2018 during the Francophonie Day at the Catholic University of East Africa in Nairobi (CUEA). This entry was posted in About, Academics, Student Life. Bookmark the permalink. On the Bench—Interviews that matter.